While going through Lal Bahadur Shastri information, we find a lot of acts by Shastri which represent his nature of honesty, integrity and simplicity. Even though he served at the highest designation of the nation, he treats children and adults alike with great respect. Below mentioned are some lesson which we find while digging into Lal Bahadur Shastri information which represents the principles he lived by. Lal Bahadur Shastri gave up his surname when he was in school only because he did not believe in cast system. He was awarded with the title of “Shastri” as a mark of scholarly achievement after he graduated from Kashi Vidyapeeth. Shastri was strongly influenced by Mahatma Gandhi and he joined the Non Cooperation Movement led by Gandhi at the young age of 16. This act represents his dedication toward the nation and a true patriotic nature by heart. He addressed to the youth of nation during his maiden Independence Day speech in 1964 and told them to develop moral strength and character leading toward the unity and development of nations. Dowry is an old practice in India and it was prominent when Shastri was married. When he was offered dowry by his in laws, he simply tool a Charkha and some khadi cloth. He denied any other commodities or cash which was commonly offered in dowry. It is found after his death that he has no property under his name and he left only a few books and a dhoti-kurta behind. Another astonishing Lal Bahadur Shastri information is that he used to swim across a river to reach school in order to save money of boat ride. Angry children: how to help them manage their emotions? Shastri always showed a lot of compassion toward his people. He advised the use of water jets instead of ‘lathis’ to disperse the crowd during the violent rallies and protests. He gives the slogan “Jai Jawan, Jai Kisan” and worked hard to pave the path of India’s food self-sufficiency. While Lal Bahadur Shastri was serving as the Prime Minister, he visited a clothing mill. The owner of the mill offered him gifts in the form of expensive sarees. Instead of accepting esuch expensive gift, he insisted on buying only the sarees he could afford. Lal Bahadur Shastri treated everyone equally. The credit of appointing women as conductors in public transports goes to Shastri only. He believes that the nation can reach new heights only if the discrimination between the genders is eliminated. Shastri introduced women as conductors in transport system when he was the transport minister before the independence of nation. Digging deeper into Lal Bahadur Shastri information, we came to acknowledge he was a man with high self-esteem and moral values. His simplicity can be analysed form the fact that he did not purchase a car even after becoming the Prime Minister of nation. He purchased a car later after getting pesters from his family members and took a loan of Rs. 5000 to purchase a Fiat car. After his unexpected death, his wife paid the loan from his pension money. Such simplicity for a person at such high position is hardly seen. 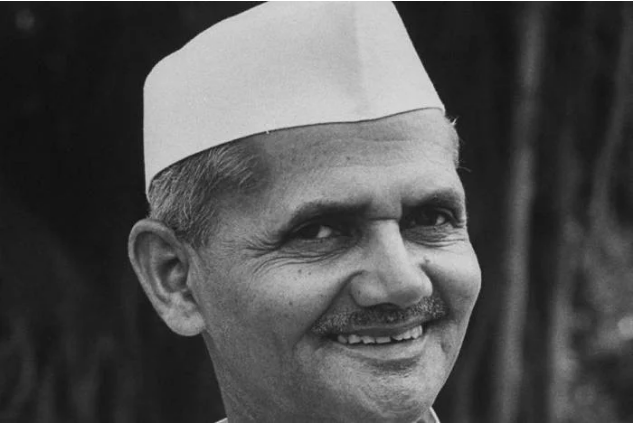 Lal Bahadur Shastri was a man of high values and there is a lot we can learn from his life. Read More about Details guide of Top Honest Politicians Of India Here.